Well we all know that when it comes to extensions and add-ons, no browser can beat Firefox. But now we can see that the number of Google Chrome extensions is increasing day by day. Many Firefox users are greatly impressed with Chrome’s speed but are still not ready to leave all their Firefox add-ons that they use everyday. 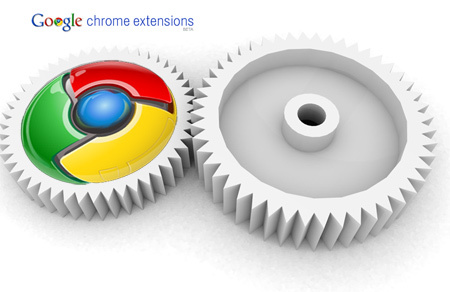 You can enjoy these : Best Chrome Extensions, Chrome Extensions for google Plus, Google Chrome Extensions For Designers, Google Chrome Games and Chrome Extensions for Web Developers. Want to know the sites and pages that present security threats? 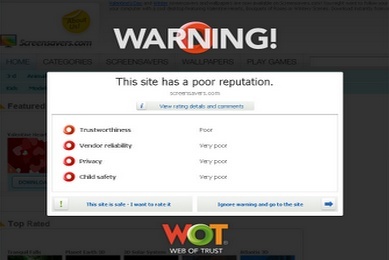 Now you can easily know all these types of threats by using WOT. Millions of users worldwide rate the websites based on their personal experiences. You can see the reputation ratings by the side of search results when using Google, Yahoo! and Bing etc by using the WOT add-on. Now saving inspiration and other types of bookmarks is easier than ever — thanks to Clip to Evernote. It is used by many designers for this purpose. 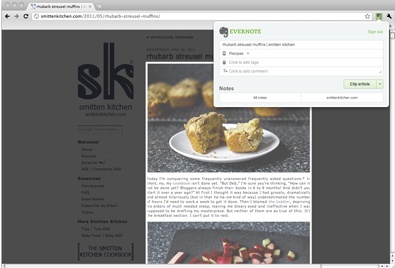 Now you can save content to Evernote and then find it easily by searching for it in your Evernote account. 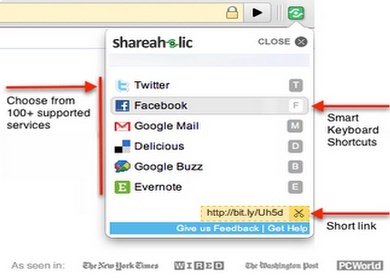 Shareholic for Google Chrome is a great extension that allows sharing links from within the browser with anyone you want using your favorite services like Facebook, Twitter, Gmail, Evernote, Delicious and Digg etc. As the name suggests, this extension adds a button to Chrome that allows you to push links, maps, and presently selected text and phone numbers to your Android device easily. 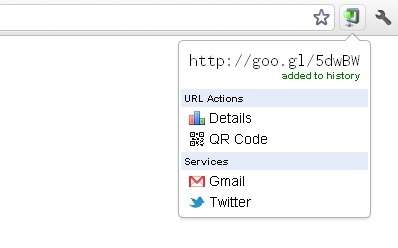 This extension lets you shorten the current site URL with the Google URL Shortener service. A must have for all the people who need to shorten links often! 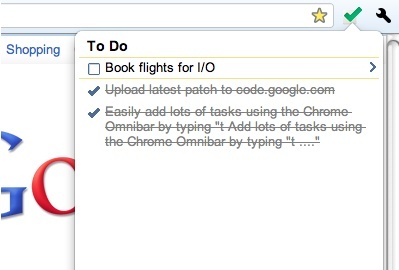 Just type “Your new task” into the Chrome Omnibar and add a task from the web page you are on. 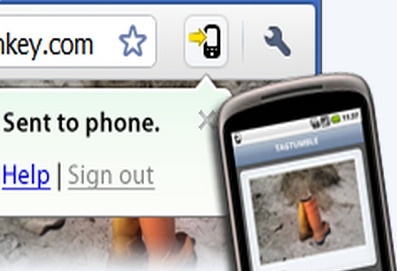 Add text to a new task by simply highlighting the text on any web page and then right clicking it. The name says it all. Google Similar Pages allows you to easily and quickly preview and explore other pages that are similar to the one you are browsing — on the run. So now you can find more pages about a topic without having to spend time searching on Google. 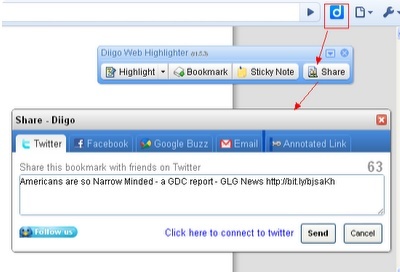 Do you want an extension that lets you annotate, archive and bookmark webpages easily and quickly? If so, then Diigo is ‘the’ extension for you. Accessing anywhere, through iPhone, iPad, Android. Want to know how to ammeliorate performance of web pages? If so, then you should definitely use YSlow. 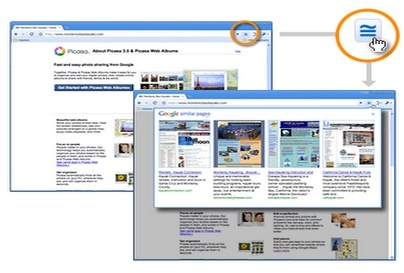 This extension analyzes web pages and then advises ways of ammeliorating their performance based on a set of rules for high performance web pages. It grades web page based on one of three pre-determined ruleset or a user-defined ruleset. It also suggests ways for ammeliorating the page’s performance, summarizes the page’s components, shows statistics about the page. Great tips! Another one I’d like to recommend is the Google Dictionary extension. When I came across the word “ammeliorate” I didn’t understand it and tried looking it up using Google Dictionary. Turns out there is only one m in the word. Very helpful extension! Can you please tell any alternative of Fireform, InformEnter and Seo for Firefox to use Chrome. These are mostly necessary.